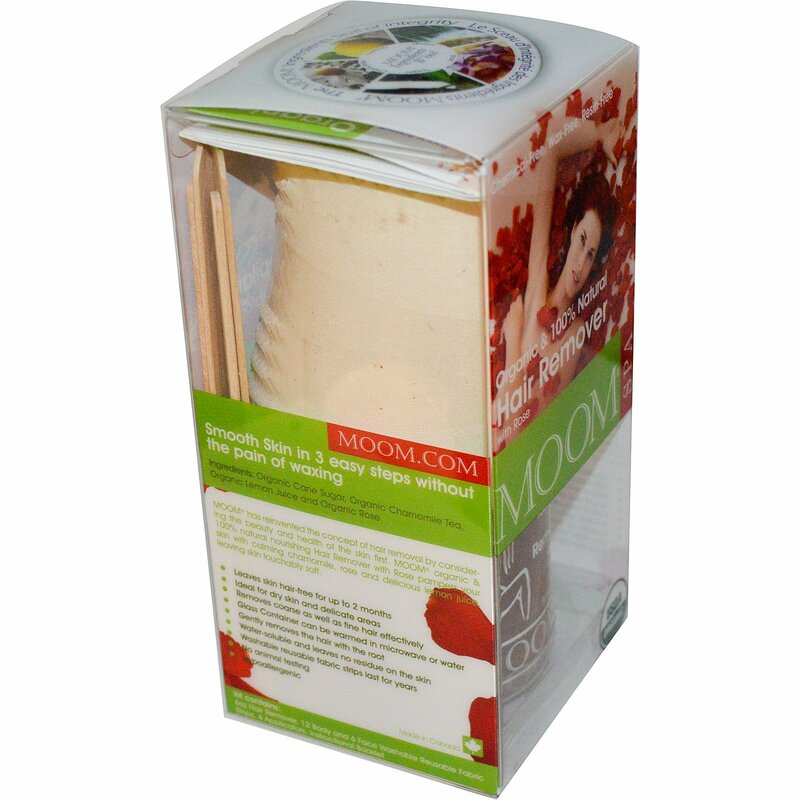 Moom has reinvented the concept of hair removal by considering the beauty and health of the skin first. Moom organic & 100% natural nourishing Hair Remover with Rose pampers your skin with calming chamomile, rose and delicious lemon juice leaving skin touchably soft. 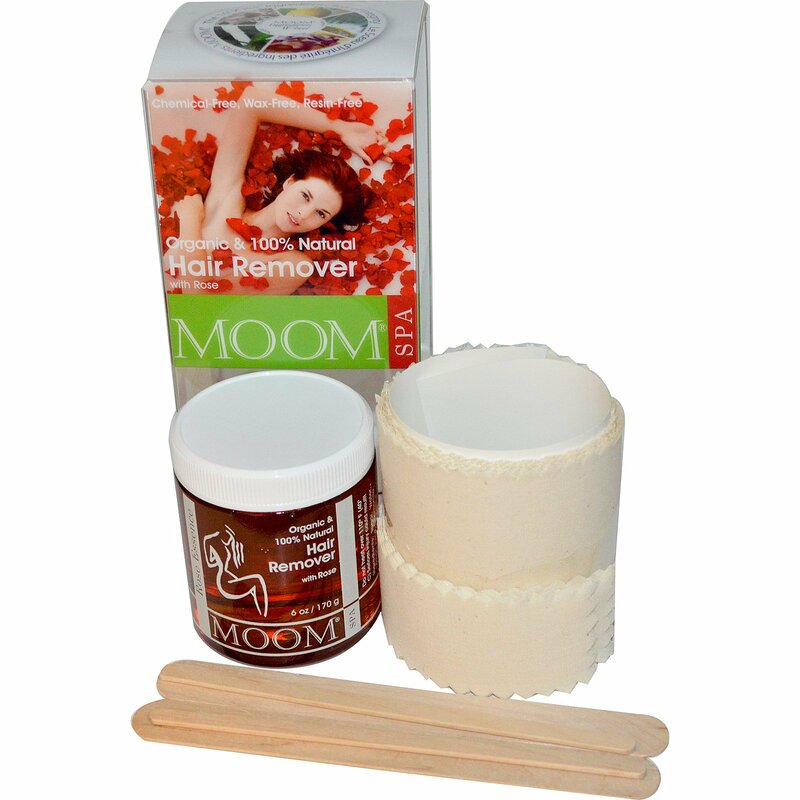 6 oz hair remover, 12 body and 6 face washable, reusable fabric strips, 4 applicators and instructional booklet.